That thing that many fantasy fans relish most – deep and immersive world-building – can sometimes feel impenetrable, and too much magic and lore can easily turn a reader off. I discovered my limit when I picked up J.R.R. Tolkien’s The Fellowship of the Ring after breathlessly devouring the first movie on its release in 2001, only to stall a few chapters in when the book suddenly turned into a multi-page elvish songbook narrated by Tom ‘wisely-cut-from-the-films’ Bombadil. So for those of you who are curious about sci-fi/fantasy/speculative fiction but feel overwhelmed by the choice, here are some pulse-quickening, transporting books to dive into, grouped by some commonly heard reservations about the genre. RESERVATION #1: It’s too long. Not everyone has the time to devote to seven-volume incomplete epics, and stand-alone genre titles can feature all the complex and nuanced world-building of a longer series. At 352 pages, Naomi Alderman’s The Power is a brilliant example of this. As in all the best sci-fi, the world here is a recognisable place, but a small yet vital change makes chaos of the existing world order. Teenage girls find that with a flick of their fingers, they can inflict agonizing pain. With this single twist, the four lives at the heart of this visceral novel are utterly transformed, and we are taken on a thrilling journey to an alternate reality that exposes our own society’s hypocrisies and injustices. This smart blend of fantasy and thriller is also packed full of observations on gender and power. This fun novella-length romp is essentially a mystery wrapped up in sci-fi packaging. The main protagonist is a security robot – a SecUnit – assigned to a team of scientists carrying out experiments on a distant planet. Despite having achieved sentience, this MurderBot – as the SecUnit cheekily refers to itself – would rather watch thousands of hours of entertainment videos than go to the bother of killing all humans. When a neighboring mission goes dark, it’s up to the scientists and MurderBot to discover the truth. RESERVATION #2: It doesn’t feel relevant to issues facing our world today. While there are plenty of escapist fantasy books out there – and there’s something to be said about the pleasure of those stories – some of the best new fantasy and sci-fi novels are commenting on contemporary issues of class, racism, sexism, environmental degradation and economic policy. 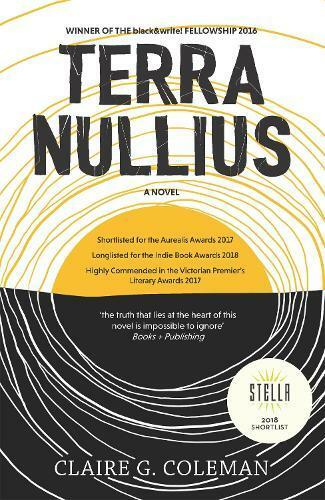 Claire G. Coleman’s blistering debut Terra Nullius is a fantasy survival story about Australia’s colonisation that will keep you reading long into the night, and thinking long after you’ve finished. Told from the perspectives of both the ‘Natives’ and the ‘Settlers’, while weaving historical and fantastical futuristic elements, this book portrays Australia not as we know it, but as a new and unsettling place that forces us to think deeply about our own history. RESERVATION #3: There’s too much European-inspired magic. Many people associate modern fantasy with Tolkien, which may lead them to think the genre is constantly drawing from Western European history and traditions. There is a wealth of fantasy in this style – and some are truly exceptional and innovative – but there is also a vibrant history of writers who draw from different non-European sources to conjure compelling worlds. Booker Prize-winning author Marlon James has recently done this in his first fantasy novel, Black Leopard Red Wolf. Charaterised by James’ distinctive prose, this propulsive adventure draws from African history and mythology and joyfully plays with the genre’s familiar conventions. It centres on a bounty hunter, Tracker, who teams up with a group of other mercenaries – each with their own power – in search for a missing boy that will see them trek through mythic African lands, all teeming with magical creatures, ancient cities, opaque Machiavellian politics and more. It’s not a quick read – there are many moving parts – but it’s a truly epic and kaleidoscopic adventure and readers who enjoyed James’ intense writing in A Brief History of Seven Killings will find equally gripping material here. RESERVATION #4: I prefer literary fiction. The past few years has seen increasing awareness and excitement around different kinds of speculative fiction – fiction that is based mostly in reality but incorporates fantastical elements. As a result, literary readers will find they’ve probably read several speculative fiction titles already. Australian writers are particularly punching above their weight in this area, and one of the stand-outs is Jane Rawson’s Miles Franklin longlisted From the Wreck . This category-defying novel weaves the story of George Hills, a survivor of a real life shipwreck off the South Australian coast in 1859, with that of a shape-shifting creature from another dimension, who is seeking refuge on Earth. Rawson deftly ties together these human and alien perspectives, creating an utterly new and unique story about grief, trauma and the interdependence of all life. RESERVATION #5: I can’t keep track of the made-up names. If the mere thought of family trees or maps at the front of a book make you switch off, then opting for alternate history or books that travel from the real world to a secondary one might make for a more appealing read. In this vein, Nobel Prize-winning author Kazuo Ishiguro’s Never Let Me Go creates a quietly perturbing alternate version of England. Set in a boarding school named Hailsham, the novel follows students Kathy, Tommy and Ruth from childhood into their adult years. The three are entwined in a complex geometry of affections, but as they grow older, they start to suspect something is different about their school. This book is a mystery, a love story, a tearjerker and above all, one of those books where a small twist in reality will cause you to question the moral axioms underpinning our own society. RESERVATION #6: I used to love sci-fi/fantasy but stopped reading it, and now I have no idea where to start. If you’re like me and you previously devoured the likes of David Eddings, Robert Jordan and Raymond E Feist at a formative reading age, but dropped off reading genre at some point, then you’re in for a treat. There is such a diverse and imaginative array of stories being published in the field now. One that’s generating a lot of buzz this month is The Priory of the Orange Tree, which author Laure Eve has described as a feminist successor to Lord of the Rings. One with dragons and dragonriders! Coming in at over 800 pages, this high-fantasy epic contains all your favourite tropes but with a more modern sensibility: dueling countries, court intrigue, ancient enemies, dynastic power struggles, a cast of fantastic women – and did I mention dragons?